When I was a kid I used to love building cardboard box forts! There was something awesome about having a huge box lying around the house. It was almost as if it was begging to be draped in sheets and turned on its side. In my mind’s eye it would be a huge citadel of steel (Ok, I have a very active imagination), or perhaps a space ship soaring through the cosmos! I wasn’t just content with the box itself, I had to build it up and out to make it truly great and worthy of my presence! A great CrossFit Box will do the same with its members. There’s a popular saying: “It takes a village to raise a child.” In the same fashion, when it comes to CrossFit, one thing we should always remember is that it takes a Box to raise a CrossFit athlete. What does this mean? If CrossFit is known for anything, it is known for its stress upon communal activity and support. In CrossFit, strength comes in numbers. Does this mean we do everything together? Of course not. But it does mean that when we are in the Box we never “go it alone.” We are there for one another, urging each other on and pushing each other forward. But this doesn’t have to remain in the Box. A great CrossFit Box will support its members by not only encouraging them in the Box, but by building out that experience into their daily lives. Let’s concentrate on that today, and give a few examples of how great CrossFit Boxes do this. That way, when you come to a Box you’ll have an idea of whether they are actively building out the experience for their members. Simply announcing the WOD is one thing, but having a pic relevant to your Box and people is another. With each daily WOD announcement put a pic of a member alongside it…an action pic, a WOD pic, a victory pic. People will see each other and give shout-outs, compliments, and encouragements; and that’s in the least compared to how the person pictured will feel! It will not only help to motivate but also to get to know…people will look at the pics and think, “Hey, what’s that guy’s name?” or, “Woah! Who’s that girl?” The Box will learn each others names and grow closer together. People who only come at 5am will see the 6pm crew and will get a chance to “know” them better. The Box that plays together stays together. Have a time outside of the Box where folks can meet together. Whether its for a planned paleo bbq or a night out of crazy line dancing…it’s always nice to slap on some nice clothes and leave the yoga pants and sweaty wrist wraps behind. You will definitely see people in a whole new light…so much so, that at first, you may not even recognize each other! What a great way to get to know each other all over again. It’s one thing to go out and compete in local competitions, but it’s an entirely other thing to have a friendly, intra-box competition. 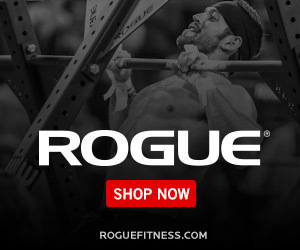 Make it fun: Perhaps bring the dunk tank out and do an 8wk body fat percentage challenge…put a little incentive in it and pick up a gift card from Rogue for the top male and female winner. Or how about a “fittest man/woman on earth here at this moment at this particular box” competition. Yes, it’s for fun. It’s not for bragging rights. It’s to bring people closer together. Have them judge one another, and allow them not simply to judge but to encourage and spur each other on. Allow them to help with weight changes and progressions. Allow them to give coaching tips as well as the always fun, “NO REP!” People will definitely come together to cheer each other on and support one another. Look, this isn’t the CrossFit Games, this is community forging! So LET them get involved in that community. Well, we don’t do all that working out and paleo eating for nothing now, do we? Have an end of the year party and cut loose. You can start the day out with a nice, intense workout that is open to friends and family. After the pain has been sweated out on the floor, gather together a few hours later and have an end of the year party. Plan a few (dys)functional (drinking) games and voila! you have instant community outside of the Box. 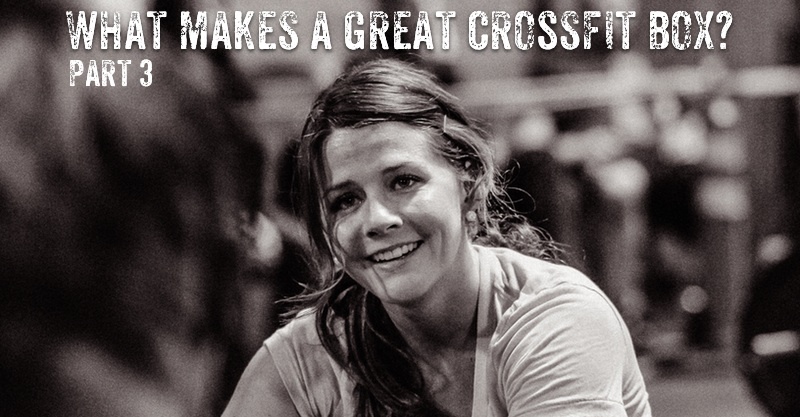 Regardless of what you do, don’t forget to emphasize the one thing that makes CrossFit, well, CrossFit: community. I saw this really emphasized at the Games this year with shirts that read, “Community Forged,” and the athletes entering the tennis courts via the stadium stands, right in the midst of their adoring fans. Let’s never forget that this way of life is about the people. Build your Box up and out…into the lives of your athletes. They’ll thank you for it, and they’ll keep coming…because they’ll see that it takes a box to raise an athlete.